Although most of the buildings under the Architect of the Capitol's (AOC) care are historic, their continuing use requires them to be updated to meet the needs of Congress, the Supreme Court and millions of visitors. Installing electric lights, air conditioning, and cell phone and Wi-Fi stations made it possible for work to extend into the night and the summer and for communications to extend around the world at the speed of light. All of those technologies, however, required metal conduits or metal ducts, all of which must be custom fit. Because the historic buildings they’re installed in weren't designed with these modern marvels in mind, the metal that carries them must be cut and shaped to fit within the space available. 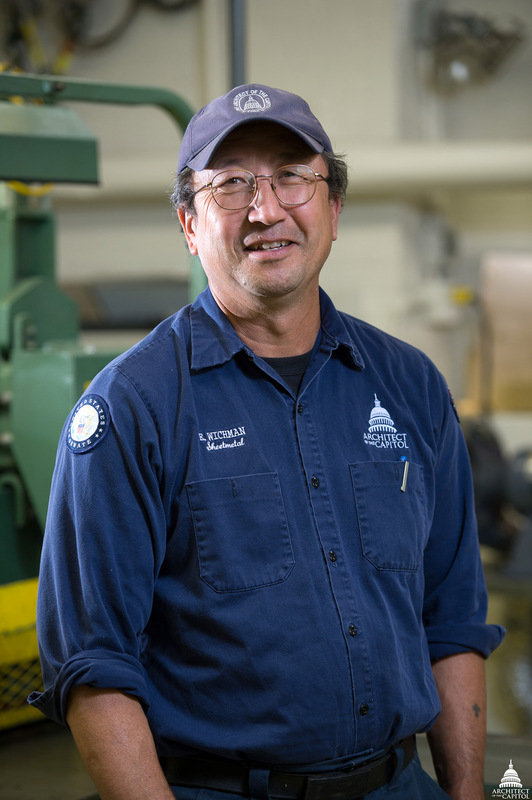 Ernie Wichman, Sheet Metal Mechanic in the Senate Office Buildings, who brought this tool to our attention, demonstrates how he uses it to prevent injuries. When metal is cut, however, the edges can be razor-sharp and punctuated with burrs that can catch on and tear anything that rubs against them, like work gloves. That's why when the Senate Sheet Metal Branch learned about the deburring tool that their counterparts in the Capitol Building use to remove sharp edges from sheet metal from 1/32" to 1/4" thick, they immediately started using it. 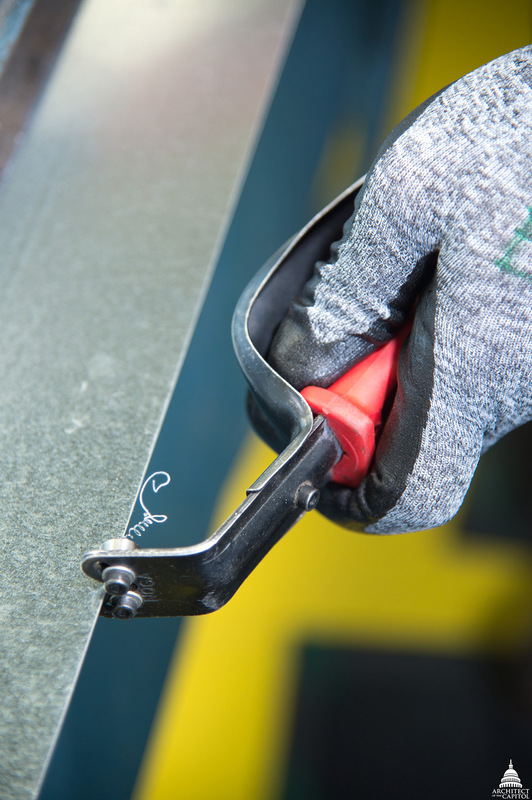 Although it's small and seemingly simple, this little tool reduces injuries by saving hands, which is why we give it two thumbs up as a cool tool. Thank you for the interesting article, Franklin!